Many people ask if it’s safe to free range their flock. As with most questions, there is no simple yes or no. 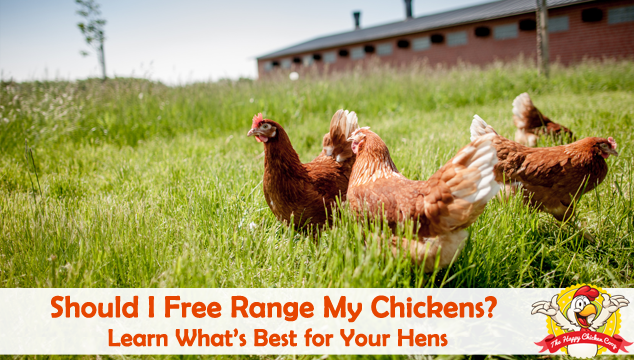 To really answer this question you need to understand the pros and cons of free ranging your hens. First, let’s define ‘free range’. For most of us, we have an idyllic picture in our mind of hens wandering over the yard on a beautiful sunny day, free to go wherever they want, right? The USDA definition is that the hen “must be allowed access to the outside”. Outside could be a small concrete yard with not a blade of grass in sight, barely accessible to the hundreds of chickens contained in the factory barn. Fortunately, changes are happening within the ‘chicken factory’. Many fast food franchises are now refusing to buy caged chicken eggs- even they want free range! This will improve the birds’ quality of life- marginally, but still not to our minds eye picture. First, let’s discuss the pros and cons of free ranging and then talk about some ideas to keep the flock safe when they are ‘out and about’. If possible I’d always recommend free ranging your hens. This will definitely help keep your chickens happy, and remember a happy chicken means more eggs! If your hens free range they are able to forage for themselves- bugs, grass, grit; whatever they need in the way of nutrients. This helps cuts down a little on feed costs and also helps to keep any insects under control. Another great benefit is by providing them with a more natural/humane environment you will reduce the amount of flock issues you have. Caged hens are susceptible to boredom and this means they will start to peck at their own feathers and bully each other. By letting them free range they don’t get bored and they also get plenty of exercise. 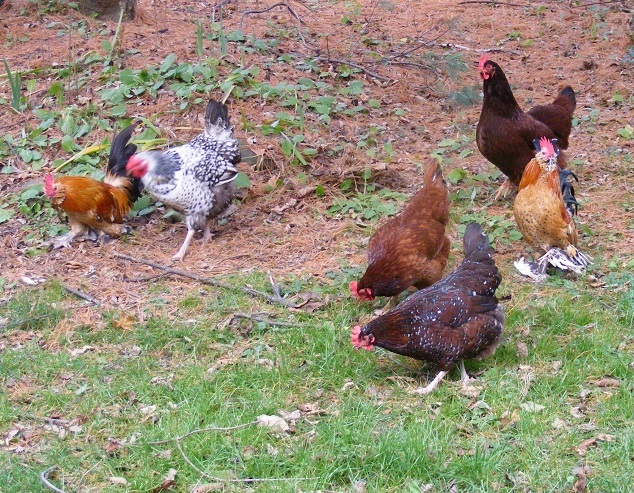 We have already spoken about the benefits for your garden of letting your hens free range. They are great little gardeners! Watch them ‘roto-till’, eat up any and all bugs, eat weeds (and flowers), glean the seeds from the ground fertilizing as they go! They also bring a smile to your face as you watch their funny antics in the yard. Finally, I don’t know about you, but I just think that free range eggs taste so much better, do you agree!? One of the biggest disadvantages of free ranging your chickens is that they will poop all over. If you are looking for a perfectly clean and manicured garden- don’t free range your hens. Also I should further warn any gardeners here that your hens will definitely eat your unprotected plants- so make sure you protect any you want to keep! You will need to do a head count each evening to make sure all your hens have gone back to the coop; occasionally you may find your hen perching in a nearby tree! However, the biggest concern I have with free ranging hens, is that they are a much easier target for predators than hens in a run/coop. However you can follow our advice to keep free ranging hens safe. In a confined set up chickens are kept in a secure pen or run that is not open to the outside and they have some sort of protection from aerial predators too. You must provide adequate space for your birds to be comfortable. Having several birds in one place for any period of time will result in a barren, muddy run. It can also lead to some nasty behavior problem such as egg eating and feather picking. You will also need to provide them with things such as dust bathing area, perches etc. Remember, chickens are curious and get bored easily- it’s your job to keep them amused! A semi confined run is a chicken tractor or similar. Usually a hen house and attached pen for any number of birds. This is a great way for the birds to enjoy fresh grass on a daily basis, with little fear of predators. The tractor can be moved around as necessary although this usually requires some muscle power or some sort of vehicle to move them. 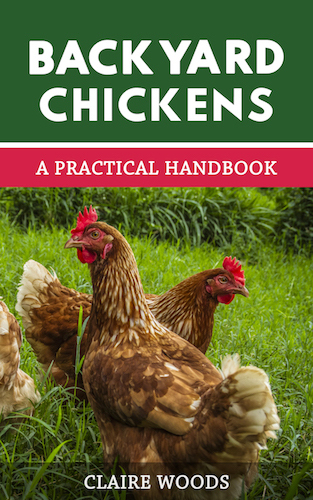 Personally, this is what I recommend to beginners, as your hens constantly get to explore a new environment without the risk of predators. This means the birds are out and about when someone is there to watch them. Having the girls with you when gardening for instance would be supervised free ranging. This sounds great in theory, but in practice, a predator can still run off with one of your chickens if the opportunity arises. Predators are cautious and sneaky, if you have a large number of birds it’s impossible to watch them all effectively. Also, if you work full time then the amount of supervised free range your hens get will be minimal. This is where the chickens have access to the pasture during daylight hours. Perhaps a livestock guard dog watches your flock; or perhaps they are simply guarded by the rooster. George and Timothy on patrol with the girls! The flock is open to attack from numerous sources, especially hawks, owls and eagles. My flock has free ranged for just about five years now. My only loss has been to a hawk. My rooster gave his life for his ladies- the ladies were untouched. He gave them enough time to get to safety. With true free-ranging you have to accept that you will have occasional losses. If you have valuable breeding stock, rare chickens or consider your hens as pets, free ranging is probably not for you. So, you have made the decision to free range your birds after weighing the good against the bad. What now? Below we have provided some ideas on how to keep them safe. If they are able to forage in an area that provides some cover for them that is ideal. Trees and shrubs provide natural cover and make it more difficult for an aerial predator. Unfortunately, the downside to that is that animals such as fox and coyote will use the cover for a surprise attack if they can. 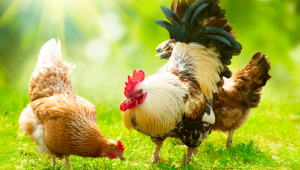 Do not allow too much vegetation near the coop, you need to have a clear visual field around their housing – a distance of twenty five feet or better. Make sure your yard is not predator friendly. If you have a livestock guardian (dog, donkey, alpaca), predators are not inclined to visit. If your house dog is ok with the chickens, let them wander in with the birds. 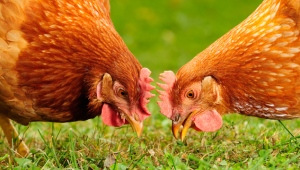 Visit with your hens frequently, vary your timing schedule. Predators such as foxes will ‘stakeout’ your place trying to find a weakness in your security. Frequent visits disturb the predators’ sense of safety. A good rooster will protect his ladies and you can help him by erecting either permanent or temporary shelters for the birds. 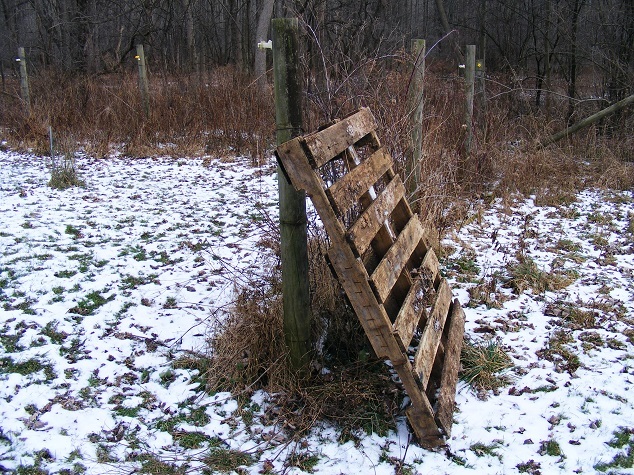 It can be as simple as a tarp draped over a couple of stakes and secured in place, or a pallet raised on blocks. 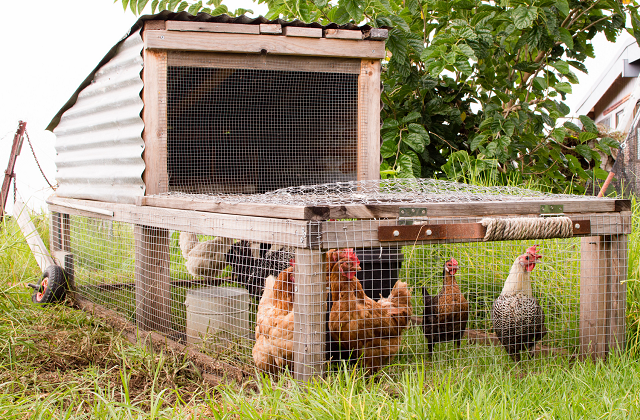 These ideas may not be ‘pretty’, but in a pinch may save your hens from becoming dinner. Surrounding the area with a portable electric fence will help with ground predator safety. As mentioned, your hens will eat up anything tasty. Try to ensure that you don’t have poisonous plants in your yard– foxglove, pokeweed etc. If you can remove them please do so. If they are part of your flower garden, you are going to have to fence the area so the hens cannot get in. However you need to be warned that despite all you do to prevent losses and keep your flock safe, there will be occasional losses to predators. Much will depend on where you live- if the area is teeming with raccoons, coyotes and foxes, you may want to supervise free ranging birds. We live in the country, but are fortunate that predators stay away from our farm, likely because of the dogs. Free ranging is not for everyone or every situation. You have to weigh the benefits against the negatives and decide what fits you and your flock. The benefits of free ranging the birds can’t be beaten and the birds seem to be happier when ‘out and about’. Sometimes the negatives outweigh the positive and for the safety of your flock, they must be confined. If so, keep them busy and active and they really won’t care that they can’t get out! If you have expensive breeding stock, you likely won’t want to risk them becoming lunch, so if you have the space and ability to give them a very large run, that’s ideal. If you can afford to get and train a livestock guard dog, they are certainly well worth the investment. Ultimately, the decision you make will depend on where you live and how comfortable you feel with the circumstances. Don’t be afraid to change your mind about things. You may want to free range at first, but lose a couple of birds quickly– go back to confinement if necessary. Do you free range or confine your girls? We’d love to hear from you in the comments below. 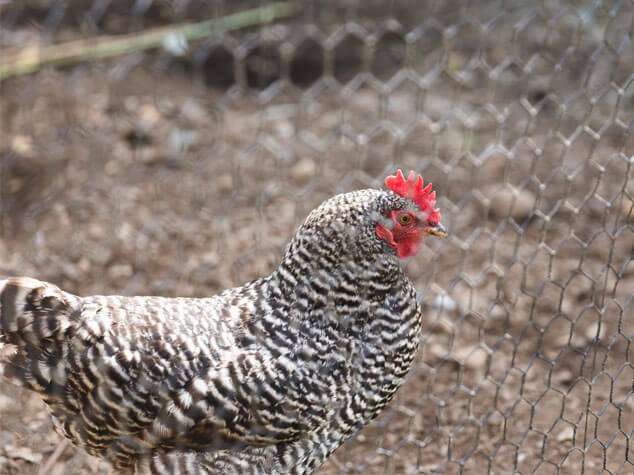 We have free ranged chickens in the past, some downsides we experienced were that the chickens would get into the flower beds and scratch out all of the bark dust…..the other that you mentioned was predators, in our area, the hawks would decimate our flocks. I am now building a coop / fence area to start over. Ah yes, flowers everywhere I imagine!? That sounds like a good plan Dennis, will the fenced area be portable? I thought our chicken fence was like FT. Knox. We lost 5 chickens in one night. Raccoons. They crawled up the chicken wire ate through the wire around the trees. Help!!! I think I should double the wire around the tree wrap with barb wire around the tree above the wire??? We live in a rural area with lots of predators, so we have a confined run covered with bird netting (which seems to be a sufficient deterrent to aerial predators). I’ve cut small doorways into the bottom of the fence in a few locations, and then covered them with another piece of fencing (slightly larger than the piece I cut out) that is held in place by pieces of wire when they are not in use. The doorways are used to provide the chickens with access to grassy grazing areas outside the run, which I enclose with another temporary fence held in place by garden stakes and attached with wire to the run fencing. Having multiple doorways means we can rotate their grazing area every few days to give the grass time to recover and the poop time to break down. Seems to be working quite well! This sounds like a great (and easier!) alternative to those who don’t want to inconvenience of dragging around a chicken tractor. My bf and I have started with 16 free range chicks last spring. From last eight months, we have lost 9 of the hens from coyotes and red foxes, excepted one of them just died inside the coop with no clue. Also we have been chasing coyotes and foxes away with our greatest swiss mountain dog. She did a great job to protect the hens and play with them. This 2016 Spring we got 15 more chicks in Apirl. Unfortunately, now our flocks attract more predators including large rats (also they get into our house running around). They chewed up the coop and dug a lot of tunnels on the ground outside the coops. Two weeks ago, one of my 3 months old chicks was attacked inside the coop after mid-night. She lost her entire head. Next day around 3pm, my dog and I heard the hens calling for help, we went out and checked. I opened the coop’s main door and one of our hens was attacked on her face like a deep cut and her neck kind of got attacked. She was still alive but felt very weak. She couldn’t move much but she crawled out the coop and laid under the tree near by the coop. She didnt move, drink or eat entire day. So I brought her back to the coop in the evening and put her back where she used to sleep at the corner of the coop. I went to check on her at 1am and she was still ok. However, next morning she got attacked again on her entire head and neck and died inside the coop exactly where the 3 months old chick got attacked a night before. Also there was a broken egg where she was laying down. My bf and other people thought it was either mink or weasel. Few days later, we lost two more 3 months old girls again and this time the predator probably was foxes or coyotes because no dead body left behind but only feathers scattered outside the coop area. It has been quite intense latly for me. It also quite sad. I am about to purchase a few chickens to get started. I will place the coop near my kitchen window so that I can keep an eye on them. My question is this……do chicken coops draw rats?? I love all animals but I am deathly afraid of rats. As long as I keep it clean, will they stay away. My house is located in the middle of a large field, so I can basically see if any predators approach. 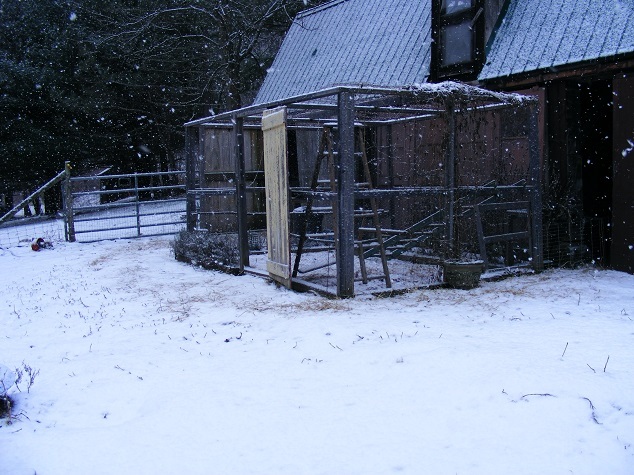 Also…….if I get a cat…….will they learn to leave the hens alone…once the chickens are full grown? Thank you so much! This is a wonderful site! As long as you keep the coop clean it shouldn’t draw vermin. Our chickens are about 14 weeks old, and we have hesitated to put them outside before now because we live in a fairly cool place. They are living in an enclosed coop. What is the best way to train them to stay in the yard and come back to the coop? Should we only let a few out at a time? We live in a residential area. One of our free range hens disappears for a week at a time. She just showed up again today. Last week, she was here for about 15 minutes and then gone again. I didn’t even see her go. She never looks the worse for wear but I’d like for her to stay in the backyard and chicken coop with the other two hens. We raised all three together from 2 weeks old. I am afraid to clip her wings because if she is getting out of the yard some other way than flying over the fence, she will be more vulnerable to predators.